Go on, enjoy yourself…throw your hands in the air like you just don’t care. The Running Belt keeps your essentials safe and secure. Its the perfect companion for all your ‘HANDS FREE’ adventures. It’s ultra slim, lightweight, comfortable design allows for hands-free carrying of essential gear with the absolute minimum of rattling or bouncing. Four access points allow you to organise and distribute your gear throughout the entirety of the belt’s inner pocket while an integrated clip keeps your keys easily accessible. 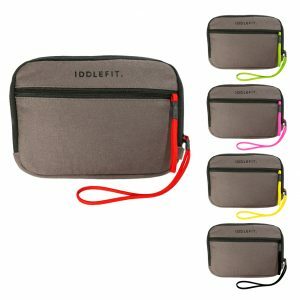 Ideal for running, hiking, biking, climbing, yoga or going to the gym. Check out our sizing chart to find which is best for you. 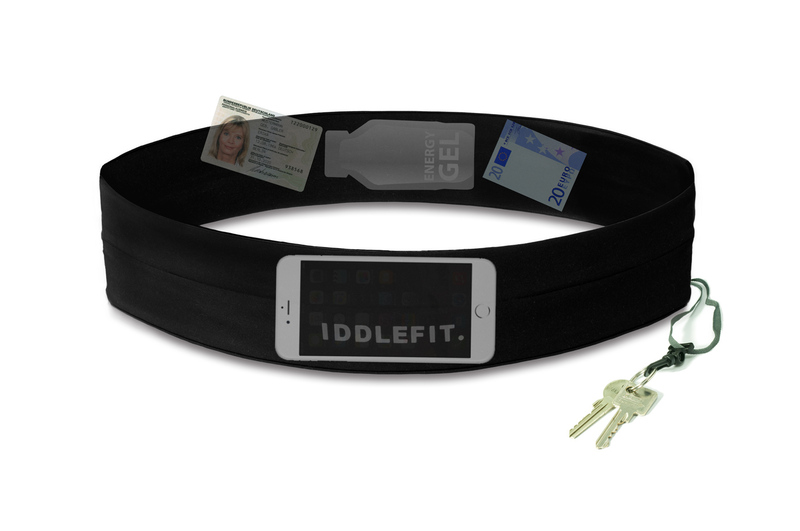 The IDDLEFIT Running Belt is available in 5 different sizes to ensure maximum comfort and functionality. If you have tailor’s tape, a quick measurement around the hip area will give you the information you need. If you don’t have tailor’s tape, a piece of string works just as well. Just wrap it around the hip area (just below the belly button), mark the distance and measure. Please refer to the chart to find what size is best for you. 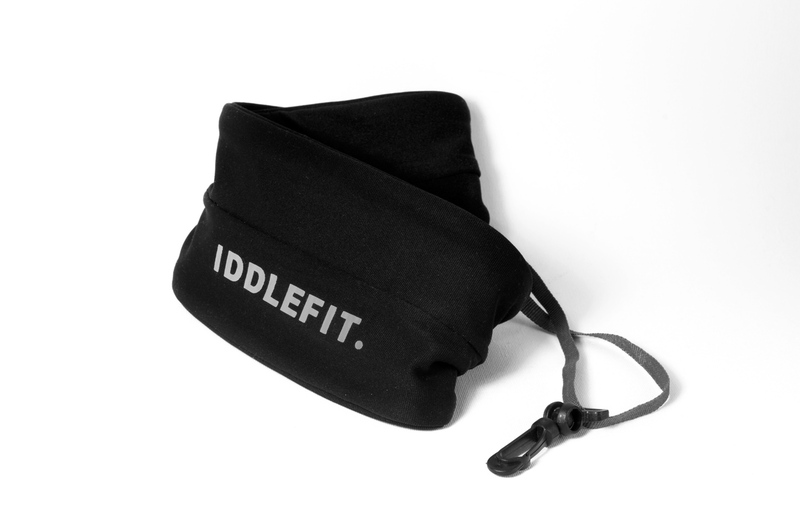 TIP: For optimal performance, the IDDLEFIT running belt should fit snugly to your body. If your waist measurement borders between two belt sizes, we recommend choosing the smaller size. For example, with a waist measurement of 89-91cm, you could choose either a size L or XL. In this case we recommend a size L.
If you have any questions, please let us know. We’ll do our best to help. If there are no fasteners, how do I put on the Running Belt? The easiest and quickest way is to simply put the belt on like you would a pair of pants. Hold the belt with the reflective logo facing forward, step into the belt and pull up to the hip area. Adjust as necessary to find the optimal and most comfortable position. Will my smartphone fit in the Running Belt? The Running Belt is designed to hold all smartphones up to 5.5″. This includes most modern phones including the iPhone 6 Plus, Galaxy S6 Edge, Google Nexus, etc. What makes the Running Belt so special? The beauty of the design lies in its simplicity. Because of its 1-piece construction there is no need for zippers, buttons or additional fasteners that could cause discomfort or additional weight. The elasticity of the material ensures that the belt fits comfortably and securely without annoying pressure points. There are four opening slots which allows access to the shared inner pocket of the running belt so you can decide how to best distribute and carry your items. And because the belt holds items securely against your body, it reduces unwanted bouncing and movement to an absolute minimum. Is it really secure? Won't my items fall out? Quite honestly, I think you will be surprised at how well the Running Belt actually works. We’ve tested it in all sorts of situations including long runs and going to the gym and have not had any issues at all. As soon as you put on the belt and pack it with your gear, you’ll know what we mean. However, if you have any doubts or worries, you can add an additional layer of security by simply flipping the belt inside-out so that the access slots face towards your body. Can I use the belt for activities besides running? Of course! 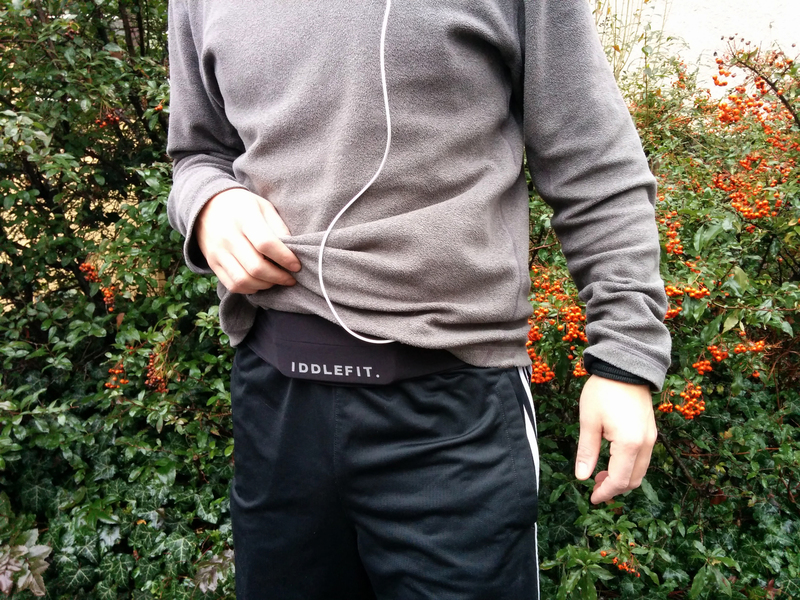 Although it was initially developed as a running belt, it works equally well for any “hands-free”activity. This could be anything from rock climbing to walking the dog. And because of its slim, minimal design, the belt functions super well as a travel belt being easily concealable under normal clothing. My kids are constantly taking things in and out of their pockets and every once in a while things get lost. Can I use the Running Belt as an 'extra pocket' for their valuables? This is a great idea. 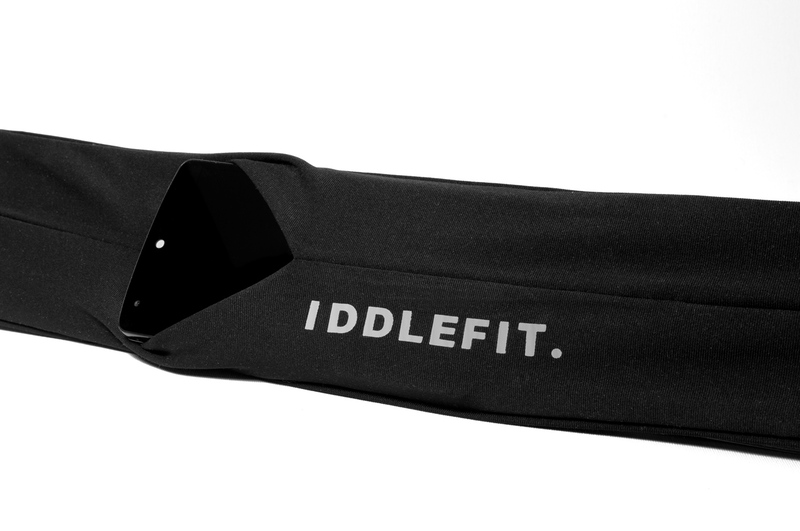 In fact, I had my 8 year old son wear an IDDLEFIT belt packed with a mobile phone last Halloween. Thankfully he didn’t get lost or separated but, as a parent, it was comforting to know we could communicate with him if needed. For younger kids, something as simple as a piece of paper with contact information could be just as valuable when going to amusement parks, zoos, or anywhere a child could get separated from his/her parents. Please refer to our sizing chart to see if one of our belts is suitable for your child. No worries...we're here to help. Contact us and we'll get back to you as soon as possible with an answer.